It is always unfortunate for a tragedy to happen for people to come together. For the electronic dance music community, it is the untimely death of Samisoni Koroitamudu aka Big Makk. The moment it was posted once on Twitter, it spread to each and every artist, blog, website, label, industry member, and fan. It seemed as if everyone knew or knew of Big Makk. You can go through hundreds, if not thousands of tweets memorializing him and going through small stories regarding their relationship with Big Makk. For one small glimpse, it seemed like everyone was on one page. It wasn’t a page we wanted to read. It wasn’t a page we even wanted to exist. But it happened. We must move forward despite how hard it hurts and how reluctant we are to do so. My point isn’t to eulogize his life. I unfortunately did not know Big Makk, but I was fortunate of knowing and enjoying his music through which he will live forever in my eyes. I want to discuss something that shouldn’t be taken for granted. You see, like anything the music industry can get very heated. Some would say it is full of sharks and fish. Even with fans, things can get heated between favorite artist and / or genre. Although, this wasn’t the case yesterday. Everyone was peaceful. Everyone was remorseful. It was is an extremely bittersweet time because of the loss of a friend and a family member. Both Ookay and tessellatedvibes expressed their feelings musically. Both songs really hit hard. Michael Lambie created a Go Fund Me to help Sam’s family with the funeral costs because of Sam’s “true humbleness. Sam was the most selfless person, always making it a point to greet everyone with a smile, and in my case the largest and best hug ever.” Many, many individuals in the electronic dance music community donated whether they knew him or not such as in Dillon Francis’s case who donated $500 despite never meeting. Money aside, the fact that people are willing to do that for each other in the industry really shows the love. People like to love or hate on the acronym, PLUR (Peace Love Unity Respect) or PLURR (Peace, Love, Unity, Respect, & Responsibility). However you feel about the acronym or what it stands for, you have to admit that how people are treating each other during this time is literally everything PLUR(R) stands for. I read tweets expressing sorrow and heartbreak. Not even a minute later, I see other individuals consoling that original person. Whether or not they go through with it, the idea and notion that people are there is incredible. The point of this post is that we tend to get caught up in the glitz, the glamour, and the hustle. Fan or artist alike, we get caught up. It is unfortunate that it required this tragedy to strike for us to slow down and recognize one another. Although, let’s not let another tragedy be the reason we do this again. Give someone a compliment. Hug someone that means something to you. Treat people the way you’d like to be treated. Based on everything everyone has been tweeting in regards to Big Makk, it seems like he believed that as well. Respect goes a long way. You may not agree with one another in the steps we take in life, but it is still perfectly alright to still respect them. 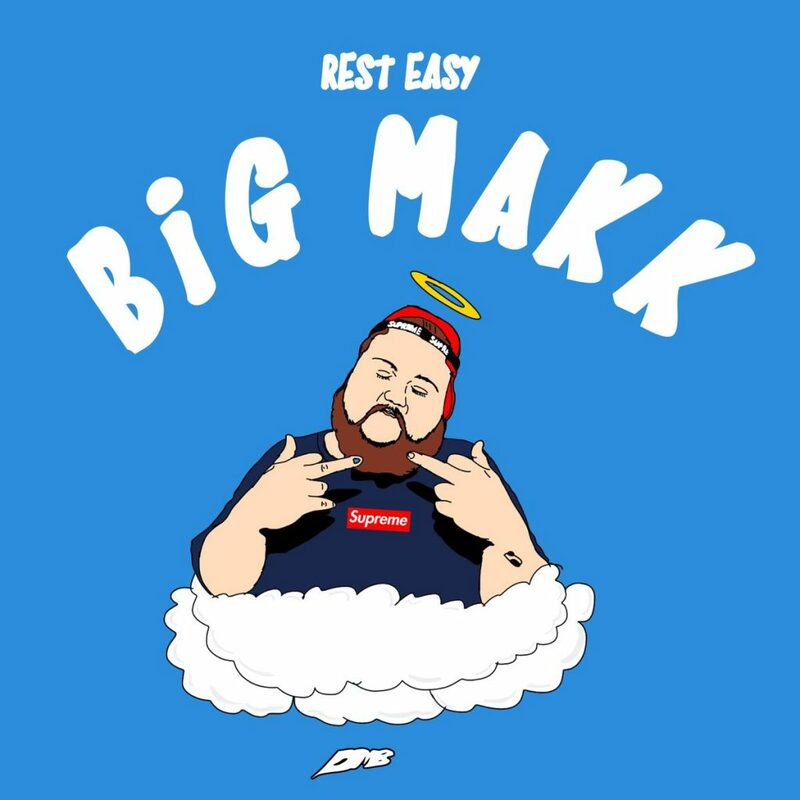 Let us keep Big Makk in our hearts, our memories, our prayers, or however you prefer to mourn. Also, let us just remember that we are altogether on this journey despite the route we travel. Let us make this place better than how we found it.